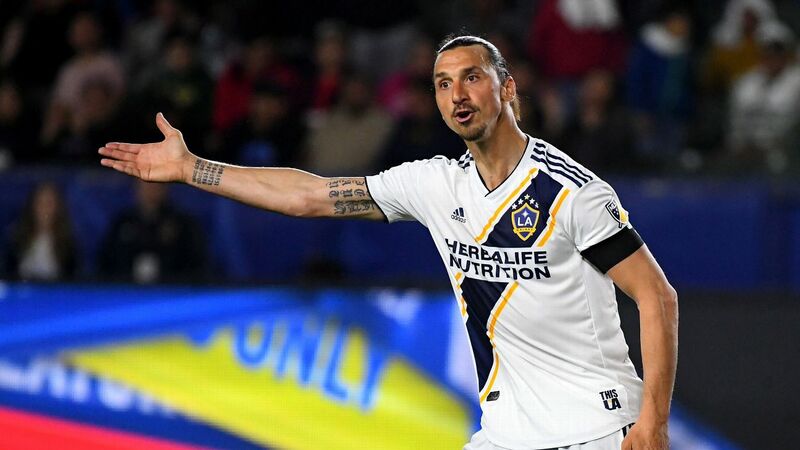 Zlatan Ibrahimovic earned a penalty in each half as the LA Galaxy held off the Portland Timbers for their third win of the season. 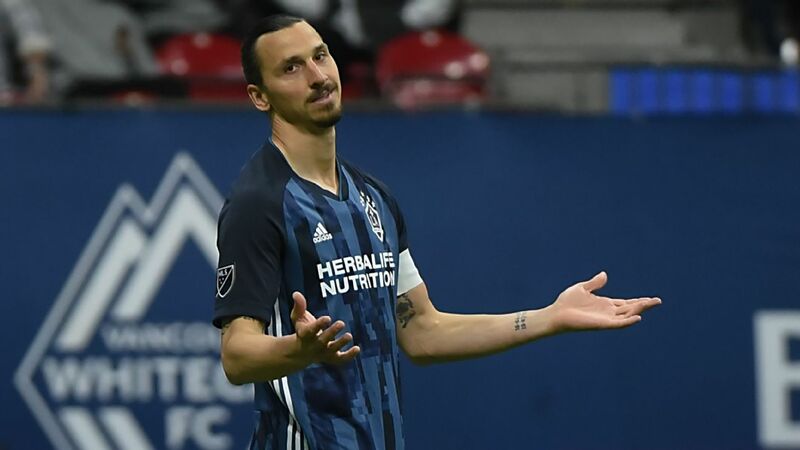 Zlatan Ibrahimovic said he failed to fulfil a promise to his son after his two-goal performance helped the LA Galaxy defeat the Portland Timbers on Sunday. 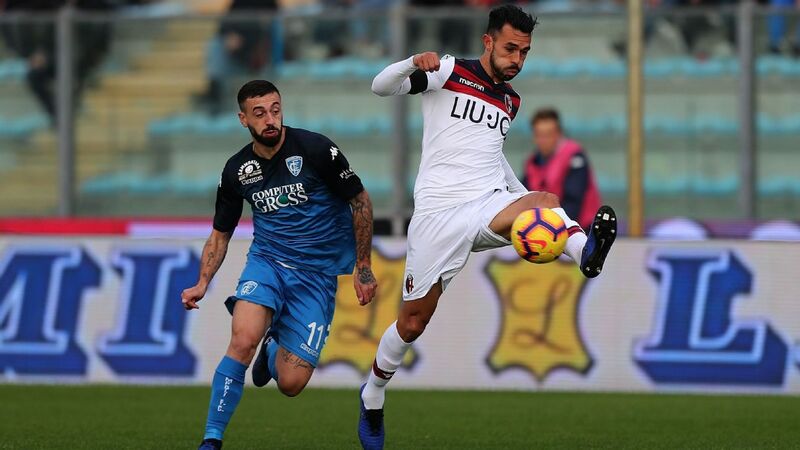 The former Sweden international scored a penalty in each half in the 2-1 home victory, but informed reporters after the match that he'd told his son he'd score hat trick. "They were clear penalties. The first penalty was clear, I mean he came from the back, and he hit me, and I went down. The second one, I'm 37 but I'm still fast, and it was a clear penalty," Ibrahimovic said of his goals. "It was really close [to a hat trick]. I should have scored. I promised my son three goals, and because of a bad pass, I didn't give three goals to my son." Ibra's second from the spot was a cheeky "panenka" that left Timbers goalkeeper Jeff Attinella helpless after diving to his left. "Trust me, when you shoot penalties, you should not think too much," Ibrahimovic said of his approach when taking penalties. "You should step up and just put it in the goal. Easy like that. Which [it] is not. ... I was focused, but [Attinella] took too much [getting set]. I'm used to when the penalty comes, we whistle, the guys go out [of the box], and I shoot in the goal. "And now it takes too long, too long. And if you see me, I'm waiting with the ball. I think they were complaining [about the call]. I'll just wait, have patience." The former Inter Milan, Barcelona and Paris Saint-Germain superstar's brace helped the Galaxy to a third straight home win by overcoming last season's MLS Cup runners-up. "We created a lot of chances, but don't forget we were playing against a good team. They were in the final last year and they were playing with five behind, so it was not easy to play against their team and a good team that has five behind," Ibrahimovic said. "I was surrounded by three guys all the time and every time I got the ball, they tried to close me a little bit. But, we created a lot of chances. "I hit the post in the first half. We had some shots from outside the box, and I think possession, we had more possession than them. We had crazy support from the stands, that gave us motivation and power. We kept going because we said in the halftime the chance would come and we will score again."